I promised myself I'd be good this week but some of these boxing week deals are too good to pass up! With the Nordstrom Half Yearly Sale in full swing, I've pulled some of my favourite picks ;) I've already snagged the flats and card holder! Happy Shopping ladies! Yesss to all of this! Especially that sequin dress! Oh I love those earrings!!! So pretty. 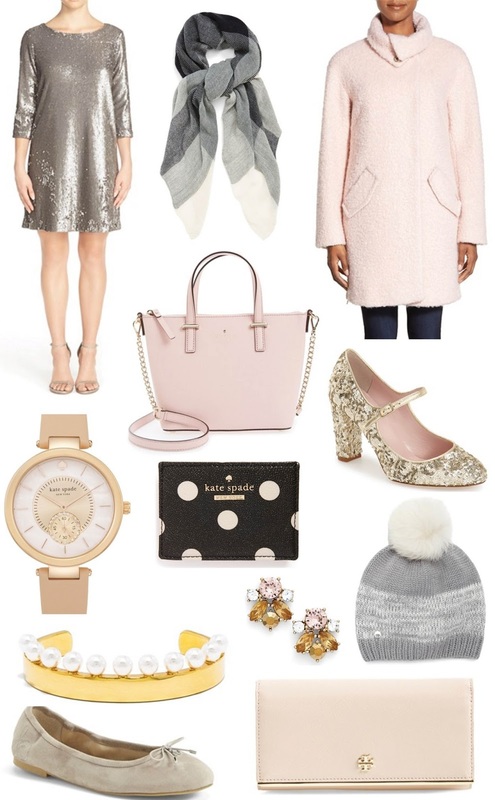 Gah, so jealous you got the Kate Spade card holder - it's sold out! :) Great sale round-up, thanks for pulling these gems together! Wouah, i really love this selection. The coat is adorable.